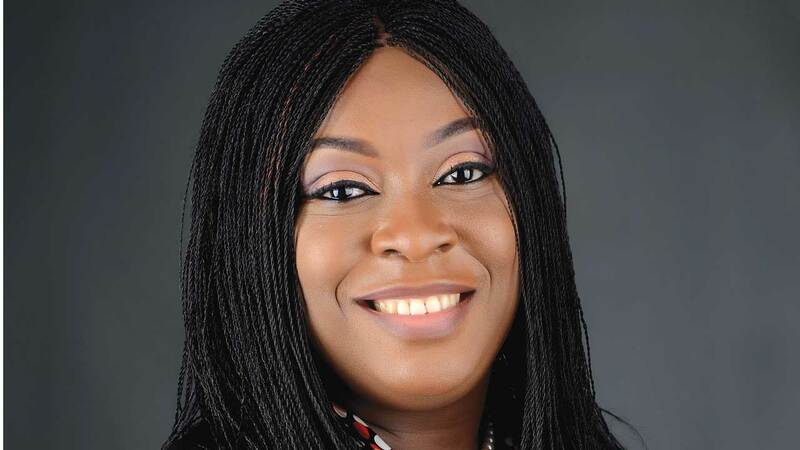 In commemoration of the International Women’s Day, Legal & Compliance Director at Lafarge Africa Plc, Edith Onwuchekwa, in this interview with FEMI ADEKOYA, shares her thoughts on this year’s theme, Balance for Better, and how this consciousness has made the workplace better for women with a spotlight on how the cement solutions firm has taken leadership role in promoting equal and fair opportunities for all irrespective of gender. International Women’s Day was first marked in 1911 – over 100 years ago. Do you think the cause is still being pursued? International Women’s Day has been marked worldwide for well over a century. It should and I believe it will continue to grow stronger. The Day is a signal, a call for action, and this is very important. Every International Women’s Day, we have people setting goals to do better. It serves as a time to reflect and see whether some of those goals set previously have been attained. Are we progressing? What are the milestones achieved? What should we do differently? In Nigeria, we still hear of women being stigmatized for wanting an education and similar cases. International Women’s Day is not just a celebration; it is a time for reflection, advocacy and action. Does the glass ceiling really exist for women? If so, do you think enough is being done to promote women in the workplace? The Nigerian Constitution provides for equal rights, so from a policy point of view, there is no discrimination. However, the glass ceiling, that invisible barrier to advancement that women face at the top levels of the workplace, remains a big problem and a challenge to society. According to research from the University of Chicago, School of Business, there are factors beyond gender discrimination in the workplace that are holding women back. Although women have surpassed men in educational attainment, they are vastly underrepresented in top-paying jobs. Women with college degrees often choose to work in fields that offer lower incomes. The demands for childcare, housework and other life chores outside of work fall more heavily on women than on men. Higher paying occupations are more inflexible and require more time commitment. Women have a harder time with this inflexibility because they remain disproportionately responsible for taking care of the home, including raising children. Indeed, childcare is one of the most prominent factors holding back women’s earnings at the executive level. 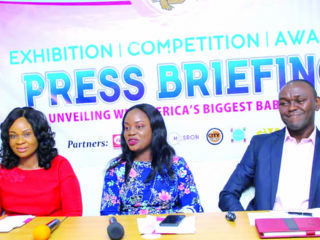 Despite all these, in recent years, there has been a continuous rise of high profile senior women professionals, increase in successful women- owned businesses and women Entrepreneurs. I am a Director in my work place, l have grown through the ranks in a male-dominated business. It is very clear that with God’s grace, hard work, determination and a balanced family life, any woman can break the glass ceiling. There are five females executives on the Executive Committee of Lafarge Africa handling critical roles including Human Resources, Commercial, Legal, Communications and Health & Safety. Most companies have just one or two. Why is Lafarge Africa doing things differently? Lafarge is an organization that promotes inclusive workplaces for women with a deliberate commitment to Gender Diversity. In Lafarge Africa, we already have 30 per cent of women in the Executive Committee, also on the Board, the most senior level within the organization. LafargeHolcim as an international group has a goal to achieve a 30 per cent female workforce by 2030. This is a big goal for a building and construction company and shows our strong commitment to women empowerment. All LafargeHolcim employees also have access to a learning database of resources for knowledge on gender and inclusive leadership among other inclusive initiatives put in place. You are in the legal profession. Are there peculiar current challenges facing women in this profession? It is important to note that gender equality, discrimination or intimidation of women is a challenge not only faced in the Legal profession, but by women generally in any profession. Other outdated customs, traditions and perceptions that women are only suitable for certain professions, like, Nursing, Catering, Fashion-Designing also still exist. 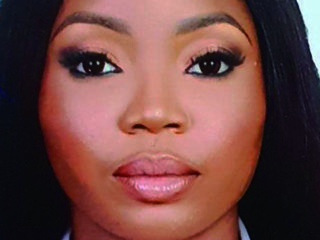 In the legal profession, there are some circumstances where women could be subject of bullying, intimidated by male colleagues or prefer certain briefs that are of a commercial nature instead of criminal litigation. However, in recent times due to aggressive workplace gender diversity policies, government awareness and dogged determination of female lawyers’ activism, these cases are on the decrease and need to be eliminated. How can corporate organizations, professional bodies and governments help improve the balance? Corporate organizations should proactively, deliberately launch and implement policies that promote gender equality in the workplace. Violators of such policies should be identified, named and shamed. Executives should provide bold leadership not just intent. Government should provide grassroot awareness programs for the girl child to ensure that they are encouraged to become engineers, technologist, innovative scientists, the list goes on. There is this notion that women or girls should not go into engineering and should instead focus on home economics, fashion designing and such. That particular philosophy should be eliminated because I see it happening in a lot of schools. The girl child should be encouraged to take up the medical profession, architecture or engineering if she wants to. There are no men or women professions. Government orientation agencies have a big role to play. There should be a comprehensive action to achieve true gender balance, develop policies and practices that support both men and women. For instance, men should be granted paternity leave to remove any stigma attached to ‘maternity leave’ as a women’s concept. 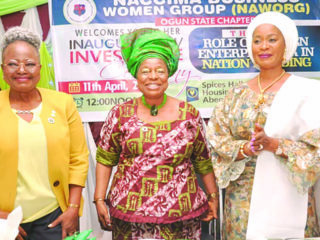 The business environment should also be geared towards empowerment of all, irrespective of gender. Friendly policies on creating work-life balance, childcare infrastructures or easy access to same should be implemented in the work place. For instance, Lafarge pays for crèche services for its employees as part of benefits offered, which is commendable. What role do you think women can play themselves in bridging the divide? Women should be mentors and not tor-mentors of each other. Women who have climbed the ladder to reach senior positions should not destroy the ladder but deliberately make way for younger women to seek to attain the same or even higher positions. We should set mentoring and coaching opportunities for other women, not only to learn from past experiences but from past mistakes. One of the initiatives that Lafarge offers is a mentoring program for both men and women. I have a group of young women l coach on an individual basis within and outside my organization. These coaching sessions provide a platform to set both professional and work life balance goals that creates a catalyst for the development of these young and upcoming women leaders. Senior women leaders should also speak up and speak out if they become aware of unfair practices/gender discrimination. Who is your biggest influence and/or icon? Today, my biggest influence and icon is my mother. She is a mother to eight children. She resolutely manages and provides support to all her children living across three continents while retaining her sanity and fulfilment in life all through the process. I would also say that l admire and look up to accomplished women leaders like Mrs. Ngozi Okonjo-Iweala who have exhibited hard work without compromising their dignity and integrity. What advice would you give to women in the workplace who want to climb all the way to the boardroom? Hardwork, resilience and results. Women who want to climb all the way to the Boardroom should be the best, not only at what they do, but in their role within the organisation. The bar cannot be lowered because they are women, so they must achieve a new high. Of course there are different challenges from the workplace and family that they would encounter but every new challenge should be a stepping stone for a success story. I once asked our Group CEO why Lafarge believes so much in gender diversity and he said it was not just to create opportunities for women but because he believes strongly that if we are to have women leaders in the organisation, they must be the best. They must be the best at their role, and what they do in the organization. So, I advise women to take their careers seriously. Do not procrastinate and do not make excuses because the world does not wait. In the midst of all the pressures we still have to deliver. We need to work extra hard while keeping a balance in our lives. When you need to spend time with your family, spend quality time. When you need to work, put in the quality time. To have a quality career, women must create a quality family life and these two realities must be kept functional. I am married to a hardworking and loving husband with three amazing children. I have a continuous goal to be a successful wife, mother and career woman. l can truly attest that everyday the bar keeps going higher. I can only relax when I have a strong support base to help me. The first is my husband and family; when I know that things are good between us and the children are fine, it makes my work better. Apart from my family, I also exercise. Exercising energises me and helps me relax. I will say I find inner strength in doing that. I am not really a party person and for me the ultimate is the church. I love singing and that relaxes me emotionally.